Celebrate Earth Day at STEAM storytime! Hear how to have a gardening strategy to support pollinators throughout their life cycle. Celebrate Earth Day with a STEAM storytime! We’ll read the classic story by Dr. Seuss, learn why trees are so important and build the tallest truffula tree! Grades K4-K5. (Please note age change.) Registration begins April 1st. We'll mix some ordinary household objects with all sorts of goodies (food color, jewels, etc.) to create a slime the will impress your friends. Grades 3rd-5th. Registration begins April 1st. I am new to the Whitefish Bay Public Library, having started as an intern in April of 2018. I am beginning work on my Masters in Library and Information Studies at UWM in September. I am a lifelong reader, and most recently, worked as a Bookseller at an independent bookstore in Milwaukee for 10 years. An act of mercy that takes place on a field in France during World War II is the nucleus of this book. All the other characters and events are connected in a gorgeous tapestry that is slowly and masterfully revealed to the reader. 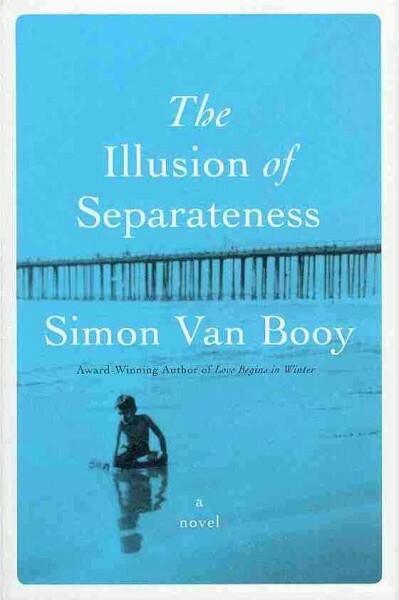 This novel is based on a true story and is a lovely illustration that separateness is indeed an illusion, and that we are all connected. 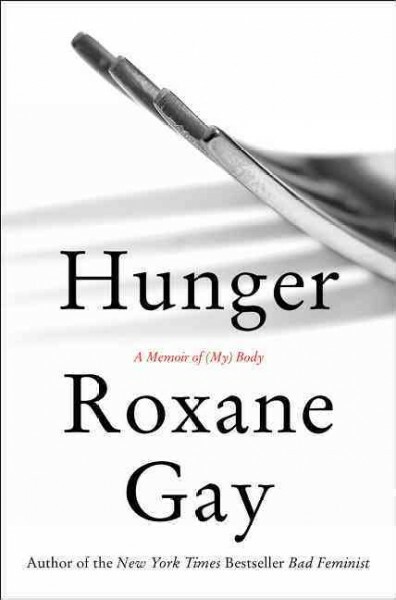 Right from the beginning, Roxane Gay lets us know that this is not a weight-loss success story, but a memoir so deeply personal that it was extremely difficult for her to write. Parts of it are also incredibly difficult to read. Every woman that breathes has issues with her body, food, and her weight, no matter what her size. Gay holds nothing back as she tells of the sexual assault that changed her forever when she was 12 years old. She concealed the trauma from her family and dealt with it the only way she knew how, by eating until her body was no longer desirable to men, but a fortress in which she could hide and protect herself from the world. She candidly explains how it feels to be at once so large and so invisible, as she moves through a world that is less than kind when it comes to judging women’s bodies. Elena Richardson lives a well-planned life in Shaker Heights, Ohio. She has a successful husband, a respected career, a large house, and four beautiful children. She believes that she is so blessed because she has always followed the rules. When Mia and her daughter Pearl come to town, her beliefs are shaken a little. Mia is a single mom, an artist who gets by on part-time minimum wage jobs. Mia rents a house from Elena and eventually becomes the Richardson’s housekeeper and cook. Pearl becomes involved with the Richardson kids on various levels. 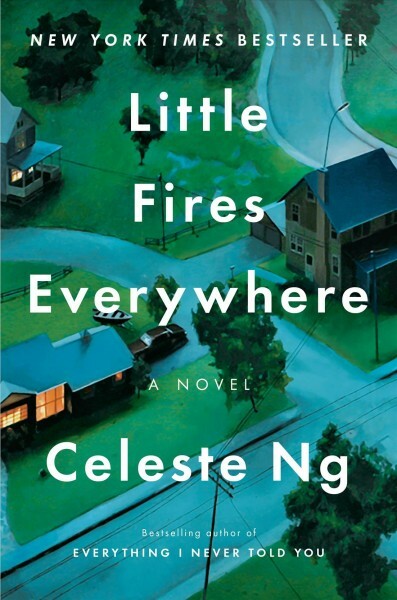 When friends of the Richardsons try to adopt a Chinese-American baby, there is a custody battle with the baby’s birth mother that divides the town. This is a beautifully written novel that explores the meaning of motherhood, privilege, and the things that make up a contented and safe existence. It is a truth universally acknowledged, that a retelling of Pride and Prejudice must be cleverly written and wickedly funny. 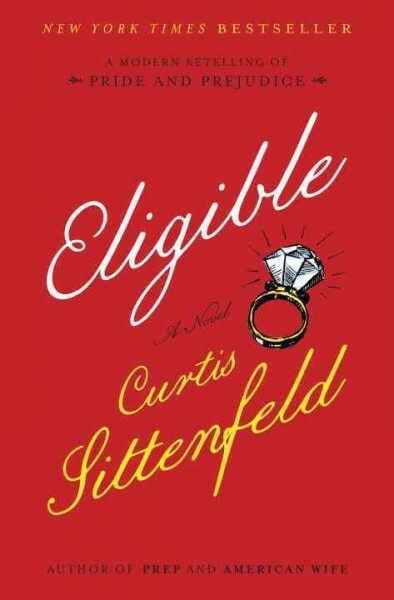 Curtis Sittenfeld has accomplished that with her fantastic new novel. The Bennet sisters have been transported to modern day Cincinnati. Jane is a yoga instructor, Liz, a writer for a women’s magazine, Lydia and Kitty do nothing but work out, and Mary spends most of her time in her room. The two older sisters live in New York, but have come home to check on Mr. Bennet, who is recovering from a heart attack. The storyline is one that will be familiar to most Austen readers, but with some extremely funny twists. I thoroughly enjoyed Eligible from start to finish. Pete Snow is a social worker in Montana in 1980. He spends his days looking out for troubled kids, until the day that his own daughter goes missing. 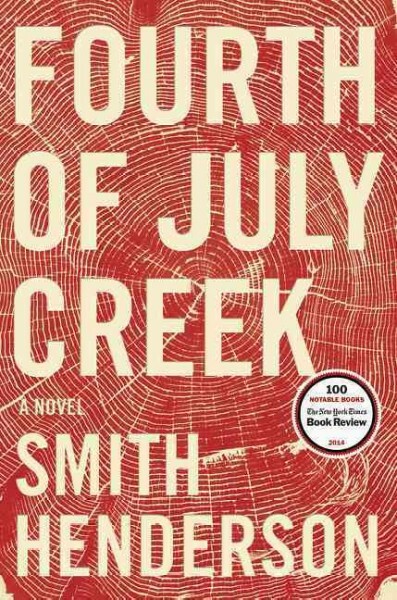 This is an exquisitely written first novel, and I look forward to reading more from Smith Henderson. A library that is just about lending books seems so last century, doesn’t it? That’s our philosophy at the Whitefish Bay Public Library, anyway. We believe that everything that we do, we do to make a difference in someone’s life. Creating connections. Building community. Collecting stories. Sure, we have books, but we’re SO much more.